CINCINNATI -- The Buddy LaRosa High School Hall of Fame has announced its 2018 class. It induces two full high school teams along with its usual six individuals for the first time. The latest additions will be inducted in June 2018. The Hall of Fame is in its 43rd year and has honored 269 individuals since 1975. 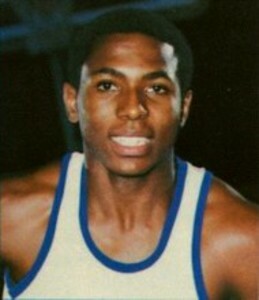 Dicky Beal was a high school All-American who played college basketball at the University of Kentucky. As a senior at Holmes, Beal helped led the Bulldogs to a 33-3 record and a spot in the state championship game. A controversial non-goaltending call denied Holmes and the Ninth Region its first Kentucky state title. In the 1979-80 season, he averaged 23.6 points, 6.5 rebounds and 8.3 assists. He scored a career-high 50 points against Holy Cross that year as well. In his career, he shot 55 percent from the field and 68 percent from the free throw line. He was named Ninth Region Player of the Year, first-team All-State and first-team All-State Tournament Team. He was named both The Kentucky Post and Kentucky Enquirer Player of the Year. Beal appeared in 111 games for Kentucky. He scored 460 career points (154-of-296) and hit 152-of-219 from the free throw line. He had 108 rebounds, 301 assists and 85 steals. He was named the NCAA Regional’s Most Outstanding Player in 1983-84 and received UK’s Outstanding Leadership Award. Beal was hampered by knee injuries near the end of his college career -- enduring three arthroscopic surgeries on his right knee between his junior and senior year. Though he was drafted by the Atlanta Hawks of the NBA, the knee injuries prevented him from enjoying a long professional career. He lives in Independence, Ky.
Elder can point to two Ohio Division I state football championships under Florian’s guidance. Over his two-year tenure at quarterback, Elder boasted a 28-2 record, the two state titles and a top-10 ranking two straight years in the final USA Today prep poll (ninth in 2002, sixth in 2003). Over his two varsity seasons, Florian completed 237 of 447 passes (53 percent) for 4,366 yards and 44 touchdowns. He also rushed for 1,669 yards and 12 touchdowns. Probably his most remembered game was the 2002 state championship against Warren Harding in a snowstorm when he led Elder to its first state football title. In the 21-19 win, Florian had a hand in all three Panther touchdowns, scoring twice on 27 rushes for 95 yards, and passing for a third TD with a 9-for-24, 165-yard performance. He was named the championship game MVP. Florian played his collegiate career at the University of Dayton where he led the Flyers to the 2007 Division I-AA national championship. Gino Guidugli had to wait his turn behind another record-setting quarterback in LaRosa’s Hall of Famer Jared Lorenzen. He led the Bluebirds to two Class AAA state championships and 28-2 record during that run. Highlands finished the 2000 season as the 13th best team in the nation according to USA Today. Guidugli rewrote all of Lorenzen's passing records in two seasons as he passed for 7,516 yards with 92 touchdown passes. Guidugli’s 4,367 yards in 2000 was the second-best effort in Kentucky high school history. When he graduated, he was ranked among the leaders in several state single-season and career statistics. Single-season marks include third in completions (260), third in TD passes (53), fifth in yards per game (291.1), sixth in attempts (404), eighth in completion percentage (.643). On the state career ranks, he was eighth in passing yards (7,516), third in completion percentage (.621), tied for fifth in TDs (92) and 13th in completions (434). He was named first-team All-State by the Louisville Courier-Journal and the Lexington Herald. Guidugli was named to the Prep Star and Super Prep All-America teams, and was honorable mention All-America by USA Today. He finished runner-up in balloting for Kentucky’s Mr. Football. He set more records at the University of Cincinnati, where he was named a freshman All-American. He is the Bearcats’ all-time career leader in pass completions (880), attempts (1,556), yards passing (11,453) and touchdown passes (78), and holds single-season records in attempts, completions and passing yards. Guidugli signed as a free agent with the Tennessee Titans of the NFL, then went on to play five seasons in the Canadian Football League and the Arena Football League. Guidugli is the running backs coach with the University of Cincinnati. David Mosko will be inducted into the LaRosa’s Hall of Fame in the first year of eligibility. Mosko is one of the most prolific swimmers to come out of St. Xavier High School since Olympic gold medalist Joey Hudepohl, who is also one of the 17 first-ballot Hall of Famers. Mosko was the LaRosa’s High School MVP in 2006-07. 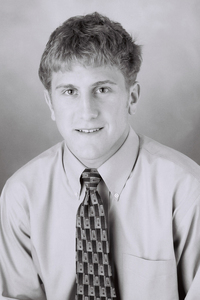 During his four-year career, Mosko won eight state championships as the Bombers won four of their nine-straight state titles. 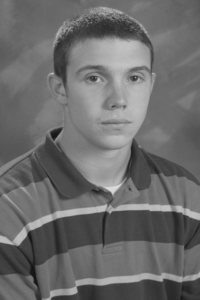 He was a high school All-American in eight different events as a senior and his state championship times in the 500-yard freestyle (4:20.56) and the 200-yard freestyle (1:37.97) were the best national sigh school times in 2007. His 500 freestyle time topped both the Ohio state record set in 1999 and the St. X school record set in 1991 by Hudepohl. Overall, Mosko set six records in his career. Mosko qualified in three different events for the 2008 U.S. Olympic Trials. Mosko continued his swimming career on scholarship at Stanford University, where injuries hampered him. He earned five varsity letters and was two-time team captain. He won the 2010 Pac 10 500 freestyle (4:14.53). Going into the 2017-18 season, he still stands in Stanford’s Top 10 All-Time in the 200 freestyle (No. 3, 1:41.92 in 2009), 500 freestyle (No. 5 :4:13.92 in 2010) and the 1,650 free (No. 7 14:45.30 in 2009). Mosko is a medical resident at Christ Hospital. Emily Thompson, named co-LaRosa’s Female Athlete of the Year in 2006, earned 15 varsity letters in four sports. She was a part of five state championships and earned four varsity letters each in cross-country, track and soccer and three letters in basketball. Distance running was her strength, winning two Ohio Division II state titles in cross country (2002 in 18:13 and 2003 in 18:36), one state title in track (3200-meter relay, 9:26.39 in 2005), and two team state titles in cross country (2002 and 2004). She was undefeated in Cincinnati Hills League competition in track. A basketball star as well, Thompson averaged 23 points, 11 rebounds, eight steals and 3.2 assists as a senior. She was named Division II Southwest Ohio Coaches Association Player of the Year and honorable mention All-State. In soccer -- played at the same time of the year as cross country -- Thompson was twice named a member of the Southwest Ohio Coaches Association All-Star team as well as a member of the SWOCA’s 30-30 Club (30 goals and 30 assists). 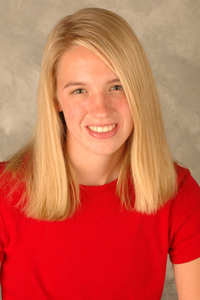 Thompson continued her running career at Ohio State University. A four-year varsity letter-winner in track & cross-country, she was a former OSU record holder in the distance medley relay. 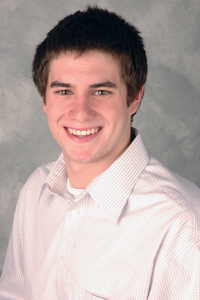 Thompson is a doctor of physical therapy at Ultimate Rehab in Cincinnati. A three-sport star at Beechwood High School during his playing days, Mike Yeagle is best remembered for when he returned to his alma mater as football coach. Yeagle compiled a 183-27 record (.871) from 1991 to his retirement in 2005. He was 8-2 in state championship games. Yeagle's teams reached the Class A state championship game in 10 of his 15 years as head coach. The Tigers won four consecutive state titles from 1991 through 1994, then won two more in 1996 and 1997, giving Yeagle six Class A state titles in seven years. He became the first football coach in Kentucky history to win four straight state titles. He was inducted into the Northern Kentucky Athletic Directors Association Hall of Fame in 2014 and is also in the Beechwood Hall of Fame. 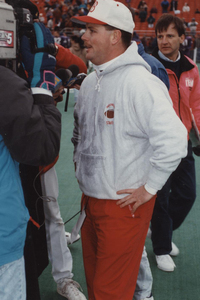 Yeagle was named Coach of the Year by The Kentucky Post and the Northern Kentucky Athletic Conference numerous times. Yeagle is retired and living in Northern Kentucky. Coach Gerry Faust’s second straight state championship team was as close to perfect as the Crusaders’ 12-0 record, which led to the school’s first mythical national championship. 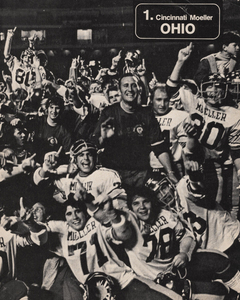 The 1976 Moeller football team. Three LaRosa’s Hall of Famers were part of that team -- Faust, quarterback Tim Koegel and linebacker Bob Crable. Moeller beat Youngstown Cardinal Mooney in the state semifinals, 48-0, giving the team 490 points scored and 40 allowed during the entire season. Koegel was named Ohio’s consensus Back of the Year by both the Associated Press and United Press International, as was Lineman of the Year Jim Brown. Crable, only a junior, was consensus All-State. The offense also featured all-state end Dave Condeni and running backs Bob Massong and Steve Givens. 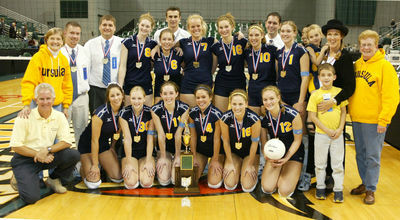 St. Ursula's 2003 volleyball team finished the season unbeaten and was named national champion after finishing the season ranked No. 1 in the country. The 2003 St. Ursula volleyball team. Julie Perry, a LaRosa’s Hall of Fame coach, guided this team through the perfect 29-0 season. Her team was rated No. 1 in the nation the entire year. This team featured another LaRosa’s Hall of Famer in Bryn Kehoe, who was one of four seniors who went on to play collegiately. Kehoe went on to Stanford, while Beth Shelton played for Virginia, Beth Gillming starred at Maryland and Erin Schroeder played at Dayton. Perry said she knew this was a team of destiny because of the last game of the previous season. St. Ursula met rival Ursuline Academy in the Ohio Division I state title game. The Lions delivered a 15-10, 15-7 victory.